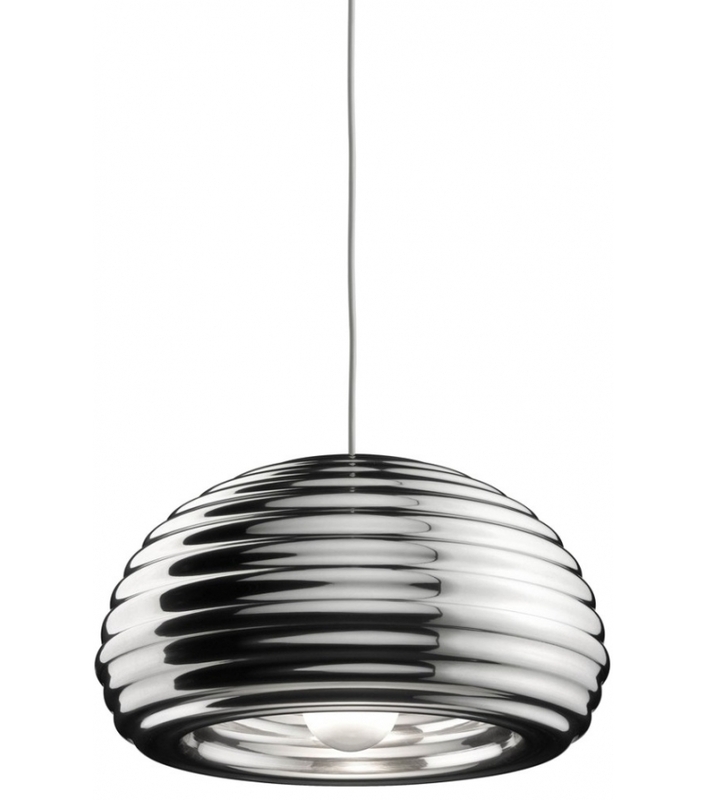 Splügen Bräu designed by Achille & Pier Giacomo Castiglioni for Flos is a suspension fixture providing direct lighting. 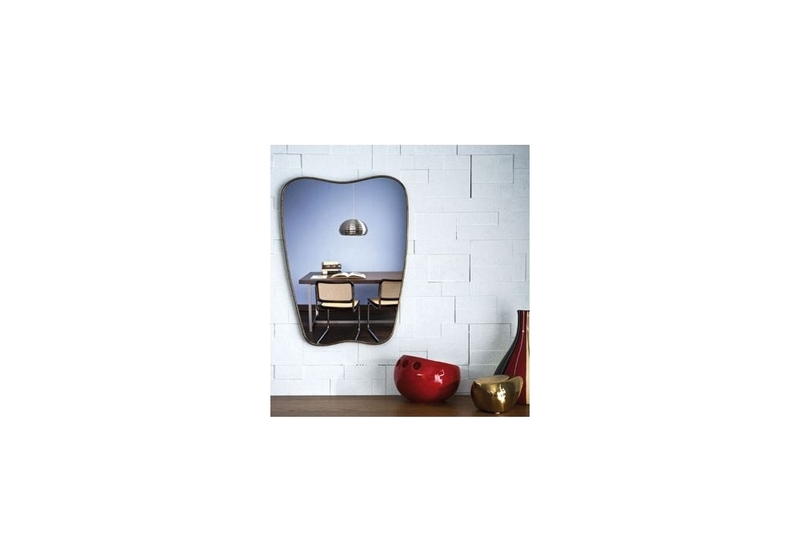 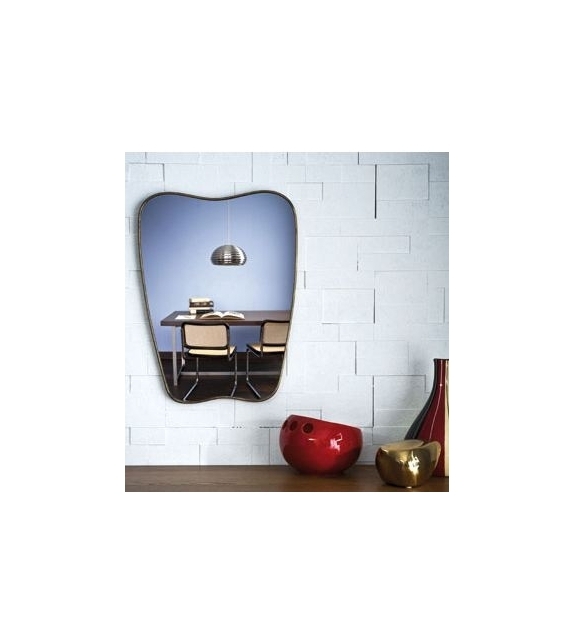 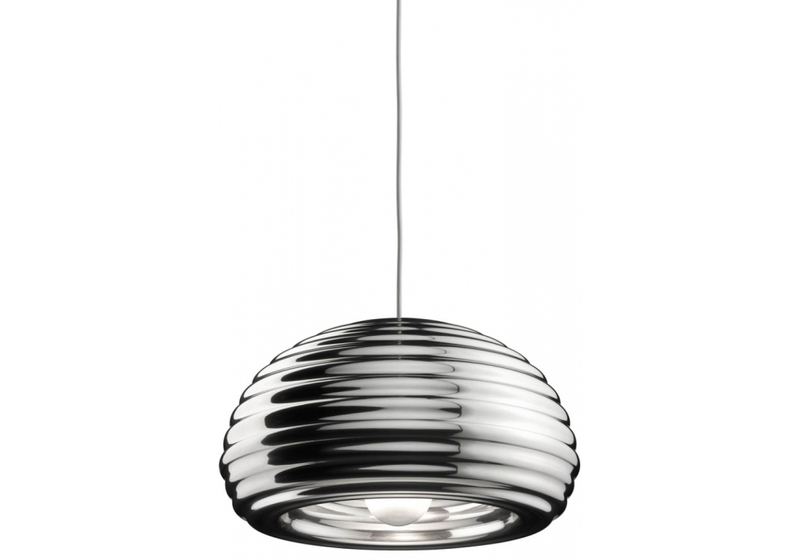 Polished and protected with transparent paint, spun aluminum reflector. 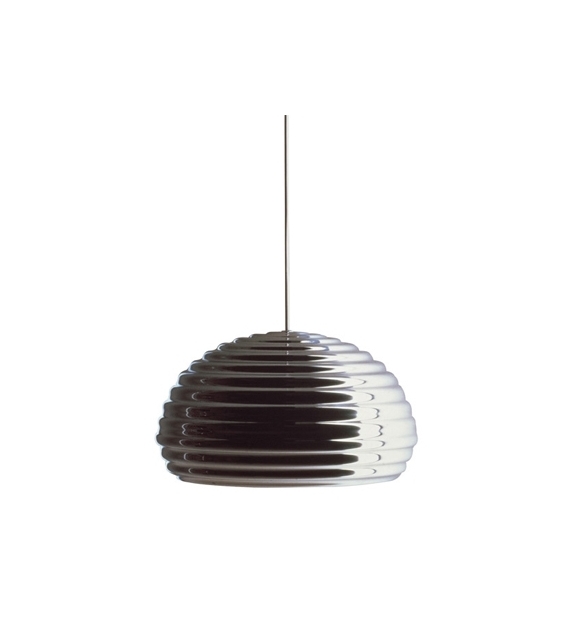 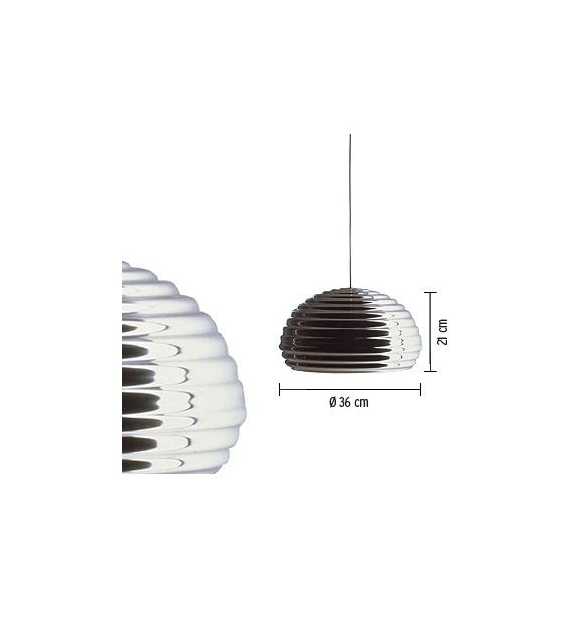 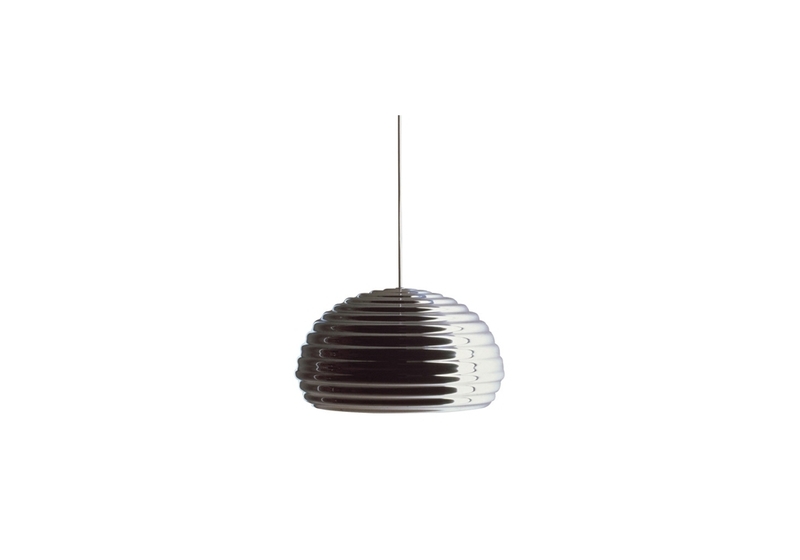 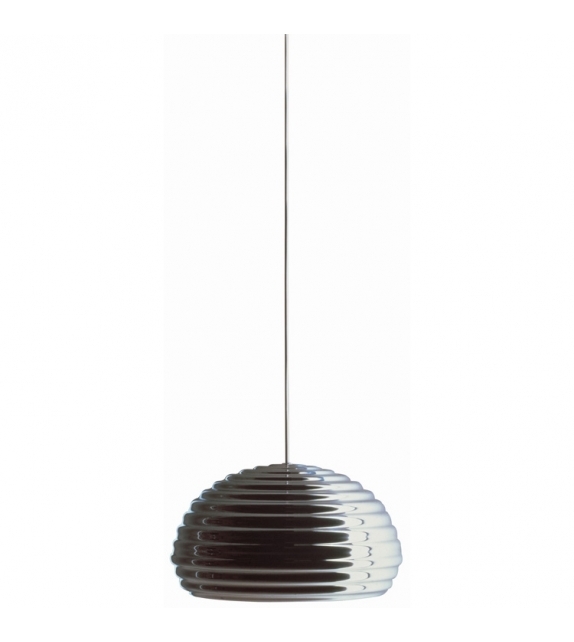 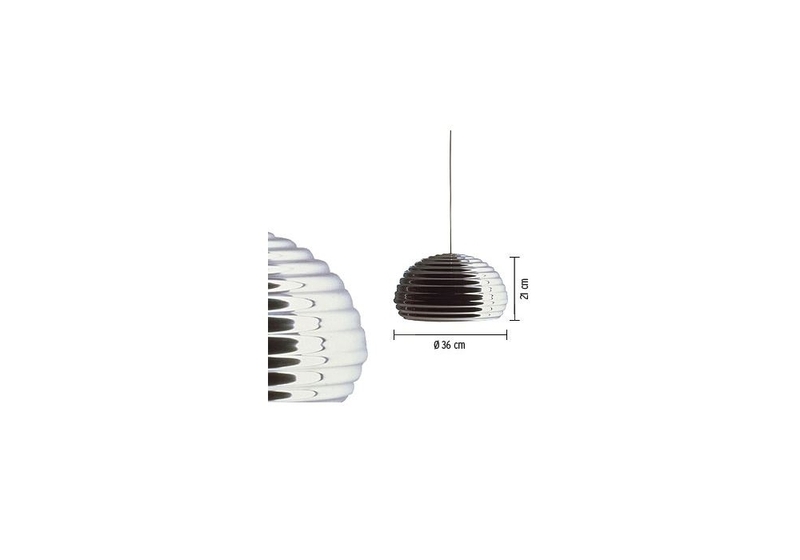 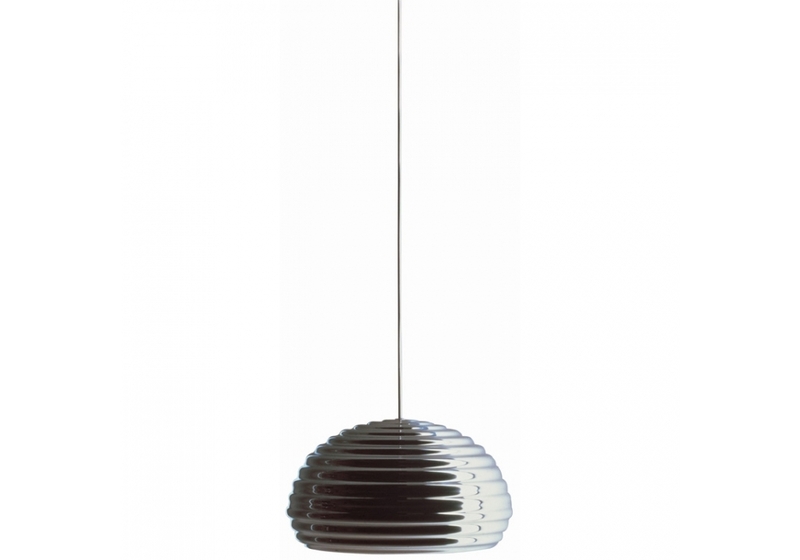 Steel ceiling fitting, vacuum-formed ABS rose with gloss white finish.